The role of hockey in Canada serves as a national identity, a unifying force in a country of 33 million people. So crazed are Canadians for their national sport that they ranked outrageous hockey commentator and high school drop-out Don Cherry ahead of Alexander Graham Bell on a list of the greatest Canadians in history. 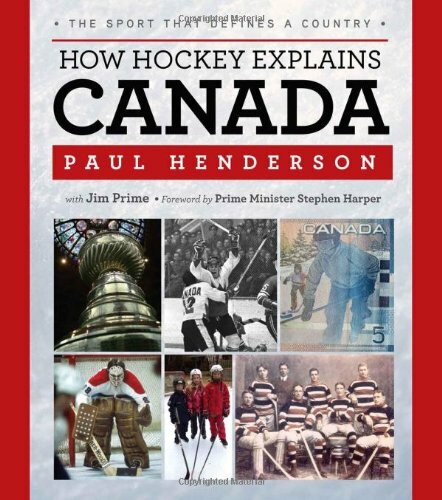 Penned by hockey star Paul Henderson-famed scorer of Canada's "Greatest Goal" in the 1972 Summit Series-and featuring a foreword by Prime Minister Stephen Harper, How Hockey Explains Canada explores just how deeply engrained this national pastime is in the Canadian psyche. The intelligent discourse on Canada's national sport goes far beyond the sport's most-loved icons, great plays, and notorious brawls by looking into the history and culture of the game to explain why hockey has had such an enigmatic hold on Canadians. 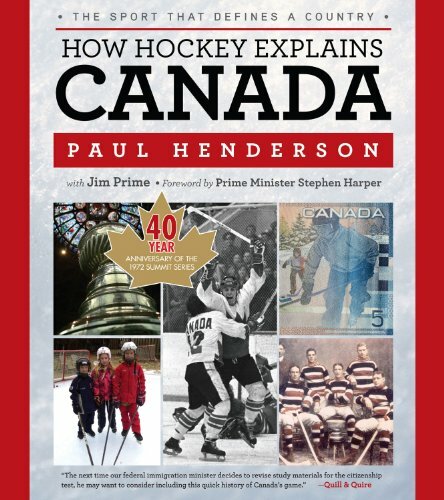 Featuring interviews with more than 35 current and former NHL players, coaches, executives, and commentators, this expansive biography of the sport explores hockey's inextricable connection to everything from the Confederation to the Cold War to international perception of Canada and the country's own cultural divide. Paul Henderson is a former professional hockey player who played for 13 seasons. He is best known for scoring the winning goal against the Soviets in Game 8 of the 1972 Summit Series. He lives in Mississauga, Ontario. Jim Prime has written more than a dozen sports-related books and has contributed articles to various periodicals. He lives in New Minas, Nova Scotia. Stephen Harper is the 22nd Primer Minister of Canada.